Son of Ceruti pupil Gaetano Antoniazzi, Riccardo Antoniazzi was born in Cremona but moved to Milan around 1870. In 1880 he went to Nice, probably to work for Nicolò Bianchi and ...Read More returned in 1886. His early instruments are in the style of his father, but his best and most original work dates from around 1888, when he worked for his former pupil Leandro Bisiach. Despite Antoniazzi's fine craftsmanship, his career seems to have been overshadowed by Bisiach's success, and throughout his life he primarily worked for other makers. In fact, many of the finest instruments dating from his time with the Bisiach workshop are not signed. 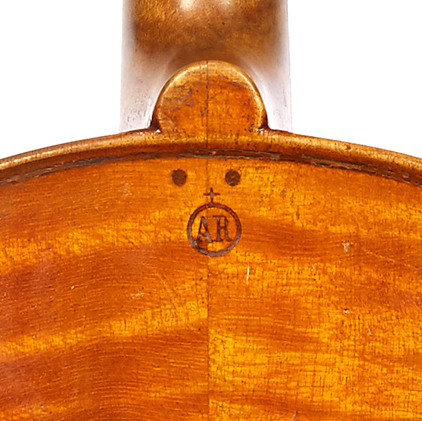 After 1904 Antoniazzi worked for the firm of Monzino and Sons, and his instruments show less attention to detail, especially in the varnish. However, his work from this period is the most commonly known today, and shows great personality.